The Government of Morocco mandated its energy efficiency financing arm, the Société d’Investissement Energetique (SIE), to explore and develop various schemes to develop a sustainable market for energy efficiency services in the country. Econoler was mandated by the GIZ to support the SIE and the Ministry of Energy, Mines, Water and the Environment in developing and implementing energy performance contracts (EPCs) in mosques and other public buildings through Energy Services Companies (ESCOs). Preparing implementation tools and providing support for Phase 1 pilot projects of the mosque program. The legal and regulatory environment analysis enabled the identification of specific barriers to the deployment of EPC projects through ESCOs for government facilities. A benchmarking was thus formulated of best international practices and specific recommendations to adapt the regulatory framework. Templates of typical EPCs specially adapted to the Morocco context and limiting legal framework were prepared for diffusion to stakeholders in the market for their eventual incorporation into requirements for an ESCO-specific regulation. A high-level political and strategic paper was prepared to highlight the numerous advantages of a government improving public facilities through EPC contracts. This document provided the rationale to support the required modifications to the legal framework and the introduction of a national program for energy efficiency improvements in public facilities. Three training sessions were held in Rabat to increase the capacity of different market actors including government officials, ESCOs, entities interested in starting up ESCOs, and financiers. The aforementioned business plan reviewed the main best practices used in the international market to support ESCO implemented EPCs. This included a benchmark of the Super ESCO, Quasi Super ESCO, traditional government or utility-based ESCO, private-sector ESCO, and public-private partnership business models to select the most appropriate for the Morocco context. The business plan also reviewed government support programs for ESCO industry development, including the facilitator scheme. Under this support mechanism, ESCO experts from the private sector would support government facility managers through the development and implementation of the subtleties of the ESCO EPC model. A recommendation for the most appropriate model was developed. 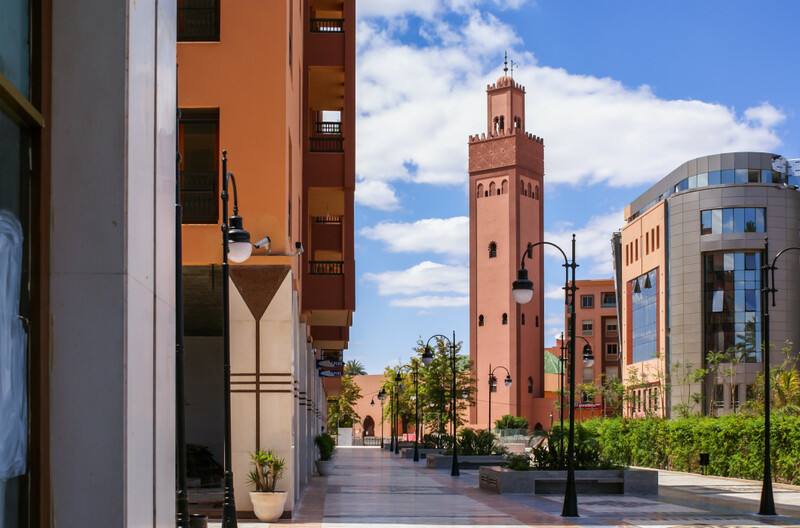 The project helped establish a methodology and a unit for the development of EPCs and the ESCO market in Morocco. This component consisted of developing 100 EPC pilot projects as an initial phase of the Energy Efficiency Program in mosques built by the Ministère des Habous et des Affaires Islamiques (MHAI) to eventually decrease energy consumption in 15,000 mosques throughout the country. The project led to the launch of the first bidding process for ESCO project implementation, which enabled the selection of a firm to carry out the first large-scale ESCO project in Morocco.